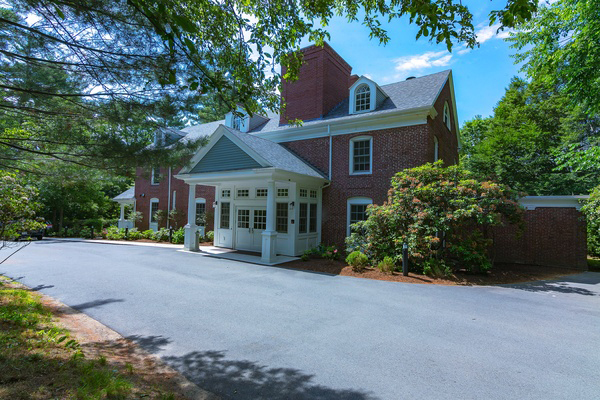 Located on nearly six acres of peaceful wooded grounds abutting the Charles River sits the the converted mansion, now the Stanley R. Tippett Hospice Home in Needham. The residence offers a warm, supportive environment with all the comforts of home. Volunteers and staff often provide home cooked meals and pastries. Since opening in 1994, the Stanley R. Tippett Home has helped people live as fully as possible; people that are approaching end of life. Our staff and volunteers care not only for the patients, but we support the caregivers, loved ones, and the entire family. The staff and volunteers have cared for thousands of patients with the central goal of honoring every patient’s medical, spiritual, emotional and physical wishes. The home welcomes residents from all ethnic, socioeconomic and spiritual backgrounds. The most recent and extensive renovations to the home included a larger elevator; new windows, roof, and doors; more efficient heating and cooling system; better accessibility to the grounds; and remodeled kitchen and bathrooms. Updates were made with the goals of improving patient and family comfort, energy efficiency, and the grounds, as well as establishing a patient care fund. There are several common living rooms and a spacious dining room where residents may spend time privately or visit with guests. The modern covered outdoor patio, complete with a nearby bird feeder and wooden swing provide a comfortable outdoor space for everyone to enjoy. Each of the ten private bedrooms is equipped with an electric hospital bed TV with cable, WI-FI internet, telephone, dresser, closet and sink with vanity. An elevator provides easy access to all levels of the home. Nurses are on-site around the clock to provide hospice care. Convertible recliners make overnight visits not only possible but also restful.